every stop along the way. Joining the TripSpark team means the opportunity to work with dynamic group of people and experiment with inventive concepts that go beyond the usual corporate expectations. At TripSpark, having fun and hitting goals are both important. From bowling and beach parties to flexible hours and tuition reimbursements, we offer many perks to help our employees have fun and grow professionally. We also do things to make every day a little brighter, like offering free soft drinks, coffee, and snacks in all of our offices. Developing new skills benefits employees and improves our ability to Move Together with our customers. That’s why supporting employee growth and development is such an important part of our corporate culture. In addition to sending staff to professional development conferences, we will gladly cover the cost of relevant continuing education courses. 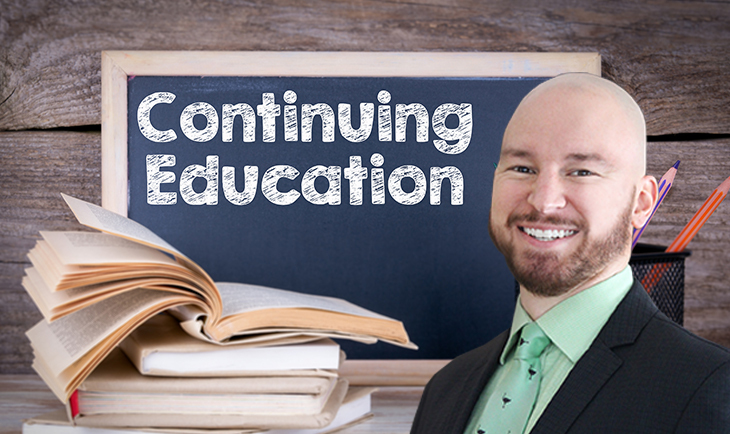 Visit the Continuing Education blog post to learn more. "TripSpark covered all my program costs including books and materials through the company’s Education Reimbursement Program." Run engaging and informative campaigns that offer value to customers and the company. We work closely with our customers and coworkers to develop net-new and back-to-base campaigns that attract the interest of industry professionals and generate business opportunities. Join the marketing team, and you could be working on dynamic projects like testimonial videos, infographics, or even a travel brochure. Everyone on the team is encouraged to contribute ideas, no matter how silly those ideas might be. The supportive and fun atmosphere definitely helps boost creativity. It’s been really rewarding seeing my creative ideas come to life, and it feels great to contribute toward successful campaigns. Be more than just a vendor, be a strategic partner. We listen to our customers and guide them toward solutions that address their specific goals. Are you a problem solver that is passionate about developing mutually rewarding relationships with your customers and coworkers? If so you might want to look into Sales at TripSpark! I appreciate the sales team atmosphere. When one of us has an idea to improve a project or presentation, we all rally around to make it a reality. Project Managers and Deployment staff work together to ensure system configuration, installation and training goes smoothly. Joining our project team means visiting client sites to configure and install software, and troubleshoot any issues that may arise. If you have a passion for problem solving, experience working with technology, plus an interest in travelling across North America to help customers, this could be the place for you! It is a breath of fresh air to work with such an open minded executive and talented group of individuals. Even though we are spread out across the globe there is still a sense of connectedness, great morale, and energy behind all we do. Our project managers and talented developers work together to give customers the features and capabilities they want to see. Our product managers are industry experts that have ample experience in the segments we do business in. Our developers are coding pros that enjoy working closely with product management to turn ideas into reality. A highlight for the team is our annual Code Fest, where staff travel to an exciting destination to problem solve and take part in teambuilding activities (like cooking a meal together). Interested in joining the product and development team? Let us know! Developers are encouraged to learn and apply the latest technologies to create modern applications, ensuring that there is always something new and challenging about my work. With a strong focus on creating quality products through an agile development process, my team has not only helped me grow as a developer but also enabled me to feel proud about my work. We depend on our dedicated behind-the-scenes-staff to succeed both financially as a company and as a partner to our customers. Our corporate operations team is focused on building and maintaining the best TripSpark possible. Operations staff don’t often interact with customers directly, but contributions from this group are integral to both customer success and company success. Want to help us continue to grow? Let us know if you’re up for the job! Everyday, I know I am contributing to the success of this company. That’s unique. Making our customer’s lives easier and ensuring they receive a high Return on Investment. Whether it be helping a customer navigate a critical situation, or simply providing some tips on using shortcuts, customers know that they can depend on you for guidance and support. Do have an interest in working with our software and want to help our customers? If so, this could be the place for you! I go to work each day knowing that I am working with the “best of the best" in our industry. If there is an issue, we can solve it. No issue is too large or too small for our team to come together and tackle.